WHAT IS A MONOGRAM? 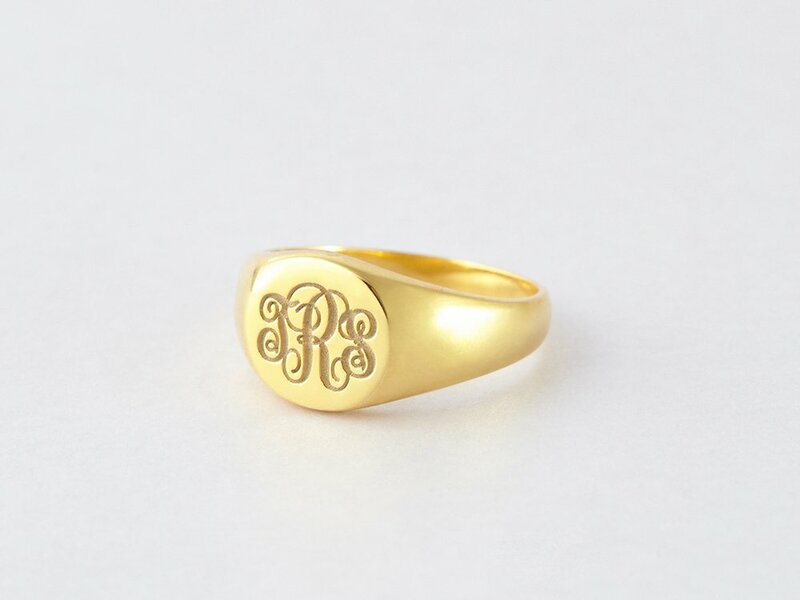 WHAT DOES MONOGRAM MEAN? 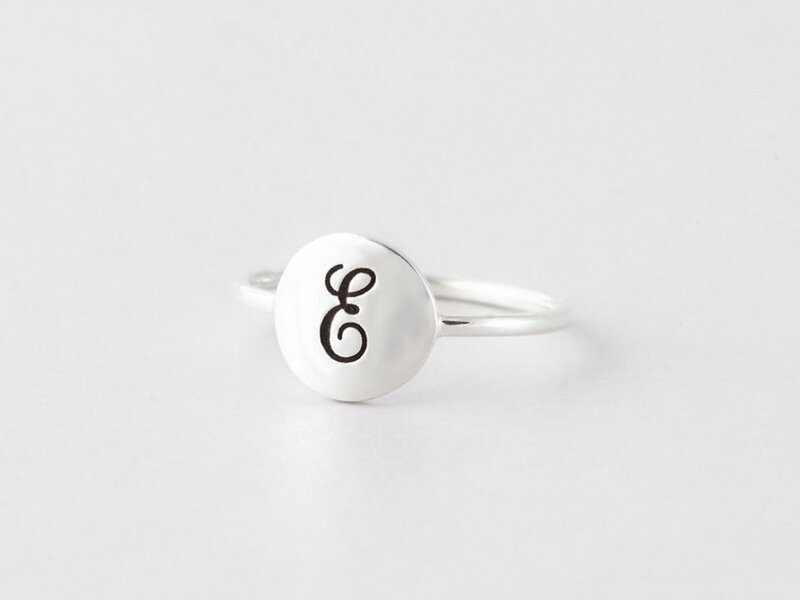 A monogram is a typography design that connects 2 or multiple letters, traditionally in a flowy, cursive fonts. The initials are often interlinked or wrapped together by a border, and they usually come together to be a calligraphy artwork by themselves. A monogram often comprises a person’s initials — often first, middle, and last name – or couples’ initials or family members’ initials. 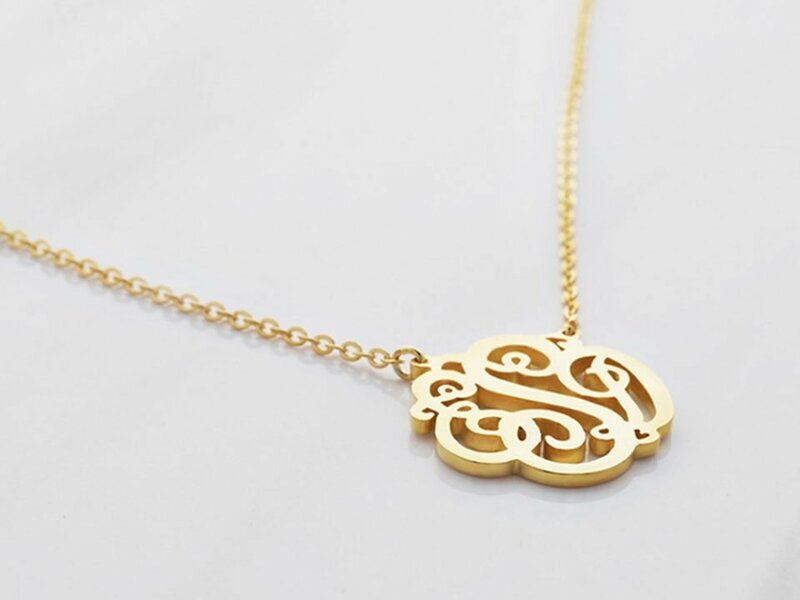 Monograms typically has 2-3 initials, with 3 being the most popular for aesthetic reasons. The meaning of monogram is attached to what initials they capture. 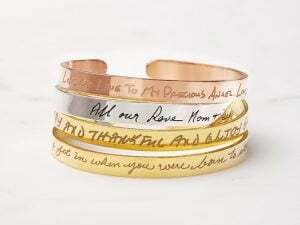 For example, bridal shower gift with 3-initial monogram often celebrates the new family name the bride is taking on. On the other hand, the same 3-initial monogram on a Mother’s Day present could be the initial of all the kids or members of the family. So it is really up to you to select the initials that mean the most to you. 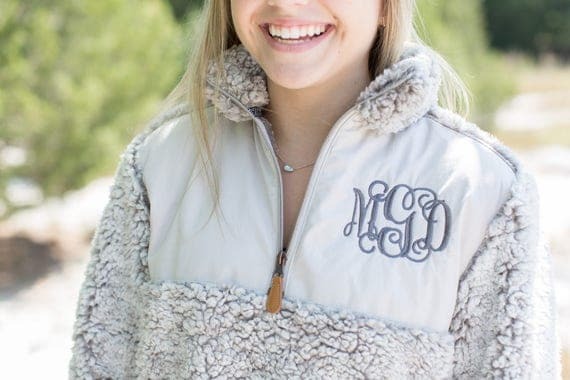 WHAT ORDER DO INITIALS GO IN A MONOGRAM? 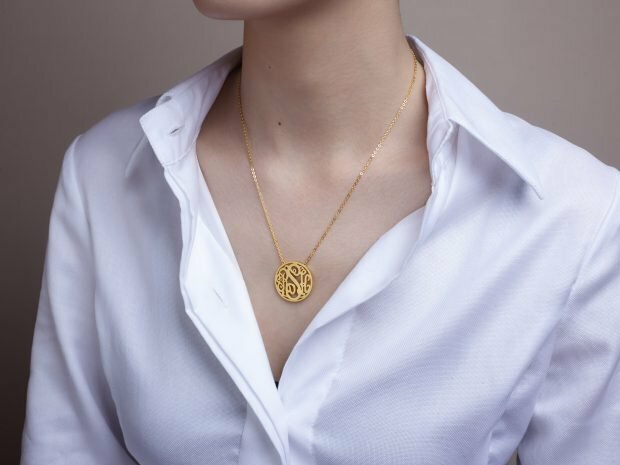 As a jeweller and monogrammer, the most frequently asked questions we received is how to write a monogram and what order do initials go in a monogram. 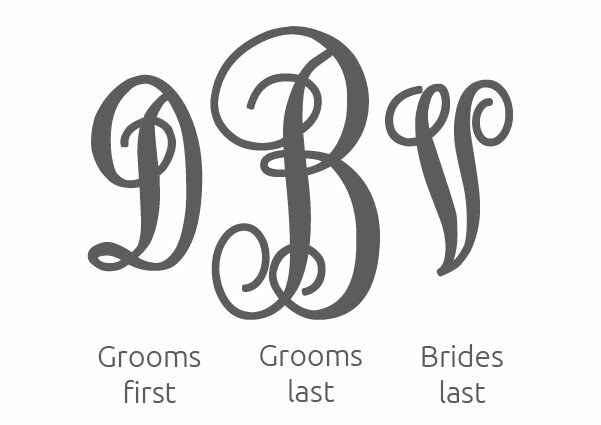 The order of letters for a monogram can depend on acouple of factors, but roughly they can be categorized into 2 types: personal monogram and couples’ monogram. A personal monogram often comprises three initials (first, last and middle name’s). Traditionally a 3-initial monogram follows this order: first name initial, last name initial and finally middle name initial. This is because the center initial in a monogram is often the largest thus it often goes to your family name. That said, of course you could choose to have it in any order you wish. If someone doesn’t have a middle name, they often use a 2-initial monogram or 1-initial monogram with their family name. 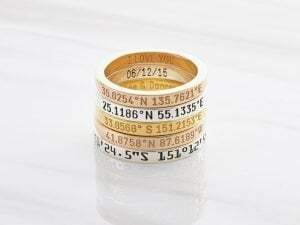 A woman’s initials could change when she gets married. In that case, she would traditionally make her given last name her new middle name, and take the husband’s last name in place of her own. 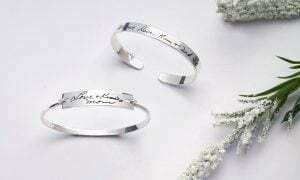 Consequently, their personal monogram changes by two letters, explaining why monogram gifts are among the most popular gift for bride as it celebrates her new identity as wife. 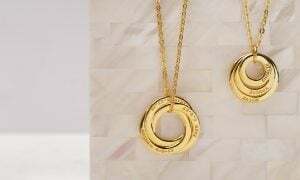 However, take note when you are buying monogram gifts that there are many ways that a couple could take on the name change. Some couples keep both their last names, separated by a hyphen. 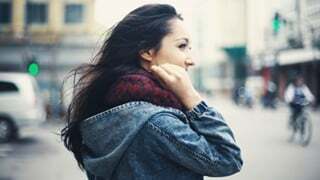 Some women are using their new names socially but not at work, where they keep the maiden names. 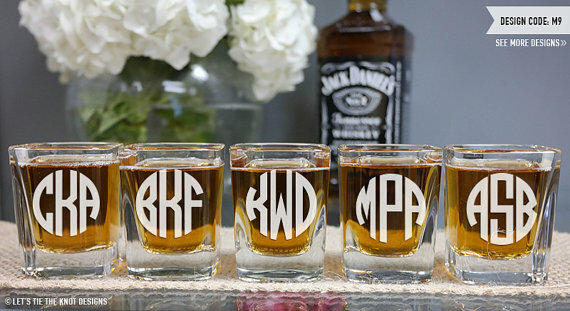 Just remember there is no right or wrong way to monogram – it is just up to personal preference. Couple’s monogram is another popular monogram choice for gifts, especially popular for utensils, stationery or beddings. 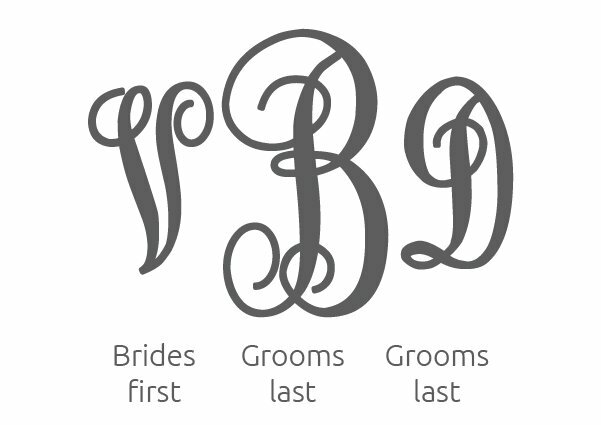 The traditional order of married couple monogram is groom’s first name initial, followed by the couple’s surname initial and the bride’s first initial. 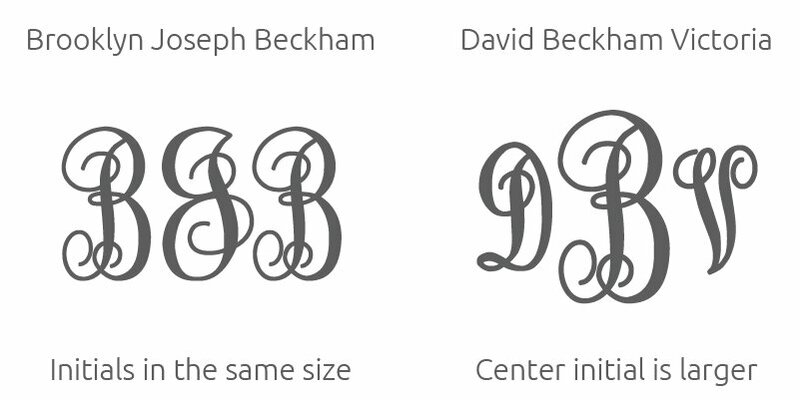 For example, the couple monogram for David and Victoria Beckham would be DBV, with the center initial being slightly larger. 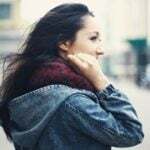 Recently there has been a shift in the traditional order to one with the women’s initial being first instead of the the man’s, i.e. VBD in the case of the famous couple. If the newlyweds decide to share a hyphenated last name, it can be reflected in the monogram for married couple. 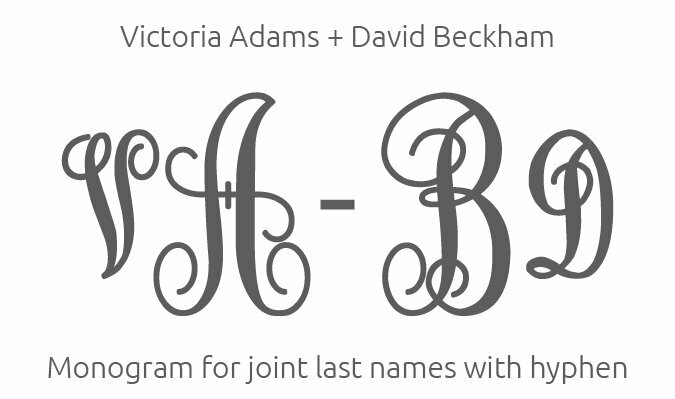 Victoria Adams and David Beckham would be the Adams-Beckham family and use V A-B D as their joint couple’s monogram. If the bride keeps her maiden name, the custom monogram for couple will be a simple 2-initial monogram from the last names of the newlyweds. 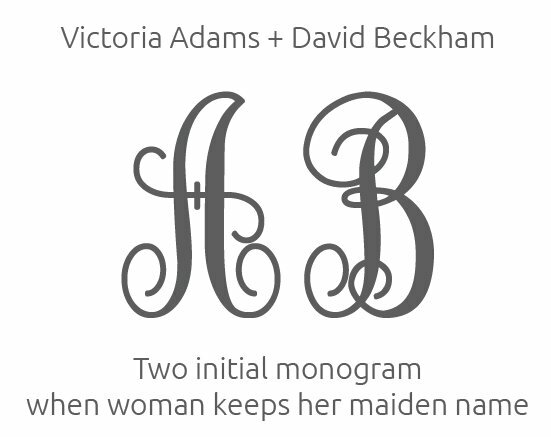 For example, Victoria Adams and David Beckhams will use AB or A*B as their joint monogram. There are 2 monogram types: one with the initials being the same size, also known as block monogram, and the more common one with the center initial being slightly larger. – Block monogram: is only used for personal monogram. In this case, your initials are ordered like your name: first, middle and last. – Monogram with larger center initial: is used for both personal and couple monogram. 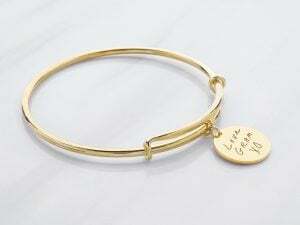 When used for personal monogram, the order will be first, last and middle name’s initial. Couple monogram will only use this style of monogram, and in the order explained above. 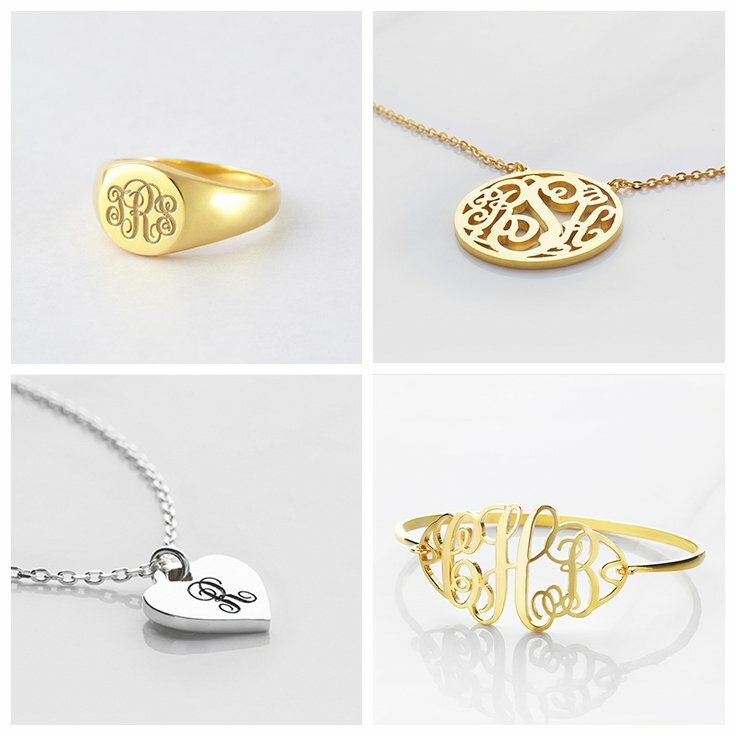 When choosing a personal monogram gift, make sure to check the design to see which style is being used to enter the correct order of monogram. 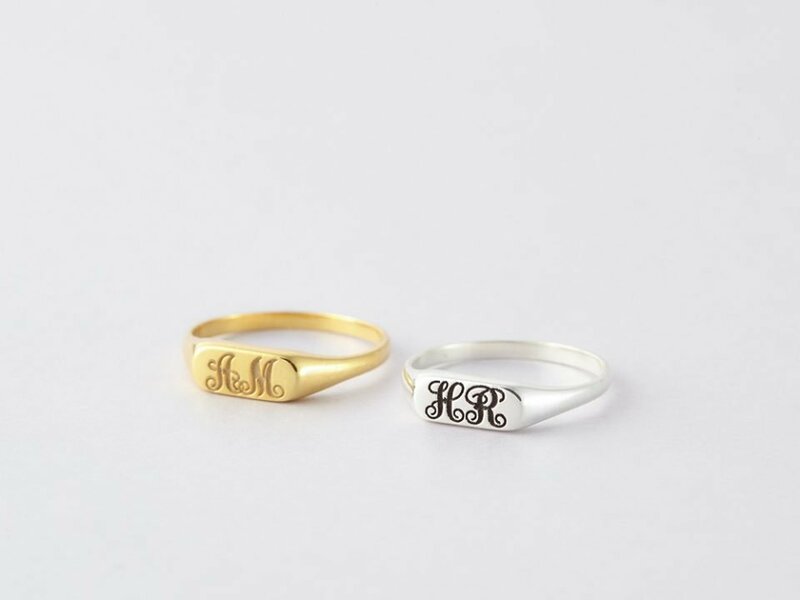 When choosing a couple monogram gift, avoid block monogram and go for the other custom monogram type. 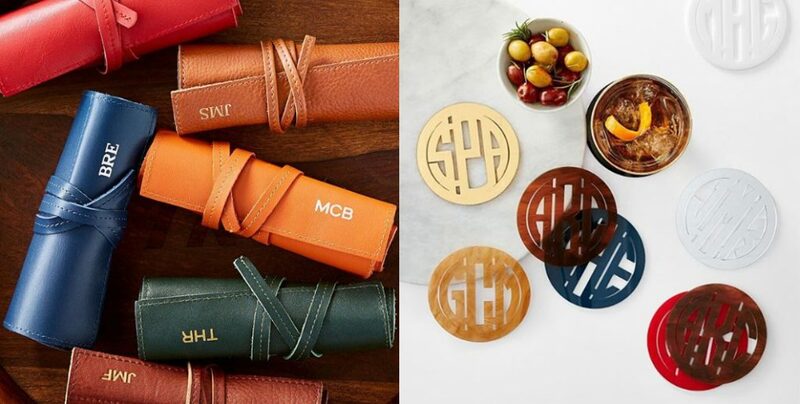 There are many cool things to monogram, from robes and jewelry to doormats. 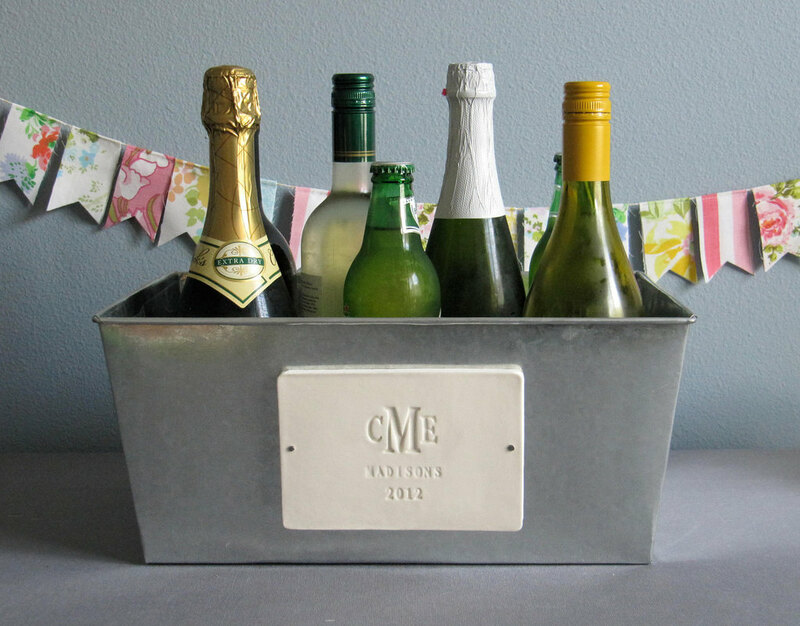 But while a couple of personalized monogram objects could be special, too many of them could come across as a little self-centred. Opt for one or two monogram items, like silver tableware or a necklace to personalize your dinner table or outfit, and you are good to go! 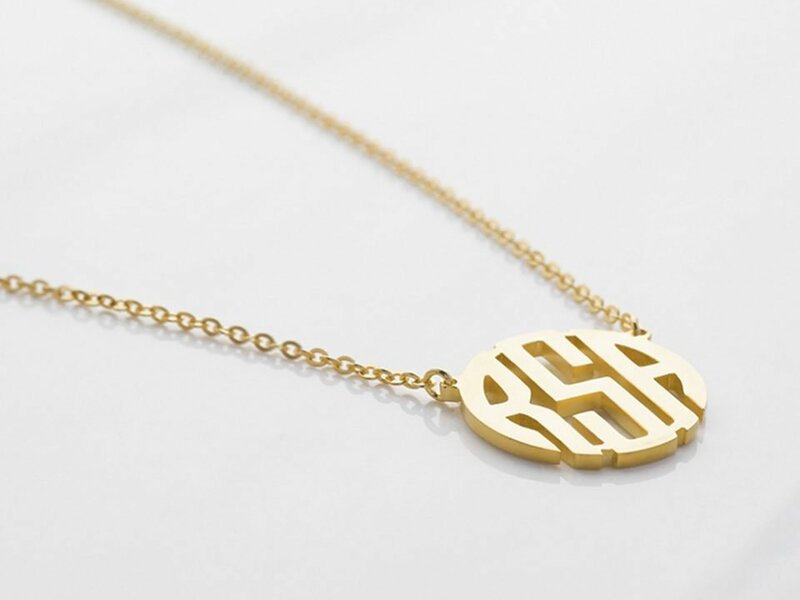 This monogram bracelet doesn’t stop at being a cool bracelet, it can also charge your Iphone! If you have any more question on how to monogram or ideas on the best things to monogram, share them with me below! 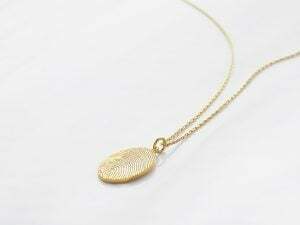 If you buy a monogrammed piece of silver, can it be recovered with enough silver to put a new. Monogram on it? If the monogram engravings is not too deep, in theory you can buff down the surface of the monogram side to remove the monogram, then engrave it with fresh one. 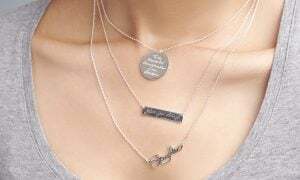 But of course this make the silver thinner, and might change the shape of some. 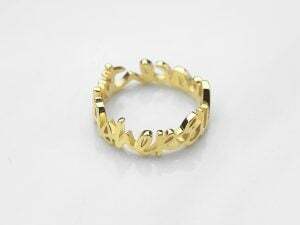 I would advise you to bring it to a silversmith or jeweler to get exact advice on your particular piece.